Rare, WATERFRONT, three bedroom, ground level home in Coopers Lookout Villas with UNOBSTRUCTED WATER VIEW. 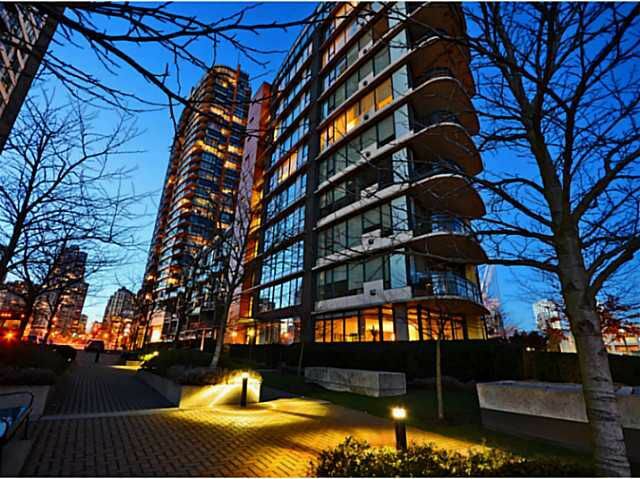 Step off your large private patio overlooking False Creek and onto the Seawall. This Concord Pacific Platinum Collection building features only one suite per floor, air-conditioning, marble & granite countertops, hardwood & marble flooring, gas fireplace, steam shower, Subzero, Viking and Miele appliances. Your private two car gated garage offers ample storage and security for your cars and the concierge is available to assist you in your busy day. Amenities include The Esprit Club feat. Kayaks, billiards room, 60' lap pool, bowling alley, fitness centre, theater, sauna/steam, and party rooms. OPEN HOUSE Sat, Jan 25, 2-4pm.